Above, how it was, underneath, what the performance is now. If Ivan’s project was all about performance, well, so was Andrey‘s project. Andrey has been working on something just as technical and head-achey. Modern CPU’s have many cores — some have four, and fake having eight, others have ten and fake having 20 — or even more. And unused silicon is a waste of good sand! Krita has been able to use multiple cores for a long time: it started with Dmitry Kazakov’s summer of code project, back in 2009, which was all about the tile engine. Nine years later, Dmitry mentored Andrey’s work on the tile engine. The tile engine is used to break up the image into smaller tiles, so every tile can be worked on independently. So when Dmitry, last year, worked on a project to let Krita use more cores and simultaneously found some places where Krita would force cores to wait on each other, he made a note: something needed to be done about that. It’s called locking, and the solution is to get rid of those locks. 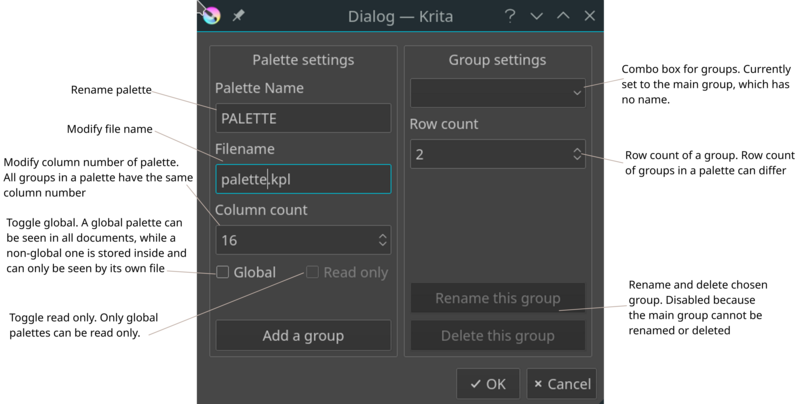 Michael has been working on something completely different: palette support in Krita. A palette or colorset is a set of colors — what we call a resource. 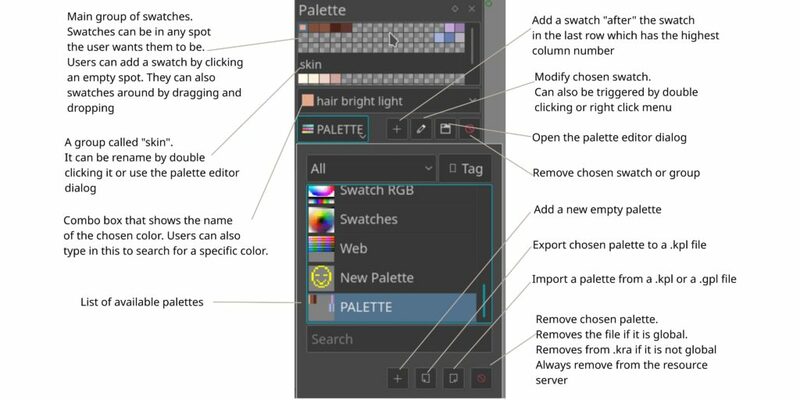 Palette editing was one of the things we shared with the rest of Calligra, back then, or KOffice, even earlier on. The code is complicated and tangled and spread out. Michael’s first task was to bring order to the chaos, and that part has already been merged to Krita 4.1.1. His next project was to work on the palette docker. His work is detailed in this Phabricator post. There’s still work in progress, but everything that was planned for the Summer of Code project has been done!